The back end database is postgres, which is a cousin of Oracle's database. The support model for xTuple being an open source product includes the entire user community which often contributes shareware and other ideas to the product's development. Postbooks is a free, source code provided version of xTuple which is limited in the number of users supported and does not have all the sophisticated manufacturing modules. But it does have the basic financial modules and a CRM package linked to it, so it is quite useful. It can be used as a complete accounting/CRM system for smaller companies. 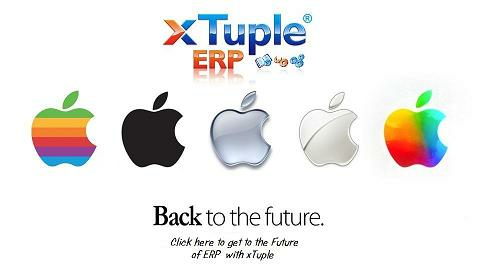 xTuple is the only fully functional manufacturing ERP system that runs equally well on Windows, Macs and Linux platforms. In fact, users can mix and match workstation operating systems - one user can run on a local windows workstation, while another works on a Macbook. Because of the light traffic between the workstation and the postgres database, the database server can be located anywhere on the web, it does not have to be in the local office. All that is required is to have a solid connection to the internet. (Such as high speed DSL). Most mid range ERP systems require something like Windows Terminal Server to get the best performance but xTuple does not.